Melanie Benjamin introduces readers to the lavish, heady world of her novel The Swans of Fifth Avenue with this exclusive ebook short story! In this enchanting prequel, New York society and Hollywood royalty collide during the doomed and decadent life of Ernest Hemingway. Spain, 1959. Slim Hawks Hayward likes to think she doesn’t get jealous. 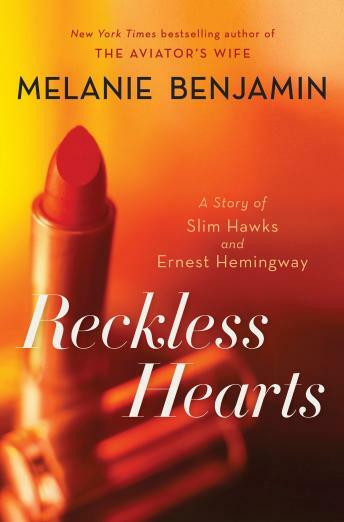 But when her dear friend Lauren “Betty” Bacall learns that Papa Hemingway has come to watch the bullfights and insists that Slim make introductions, she can’t help feeling protective. Slim has known Papa for years. He always makes her feel like the most beautiful woman in the room—even when his wife is standing right beside him. Truth be told, Slim could have learned to love him all those years ago, in the streets of Havana or the mountains of the American West. Now, Slim is sure that Papa will fall for Betty. What she doesn’t anticipate is the feeling that Papa himself has changed—and their relationship will never be the same. Features a captivating preview of Melanie Benjamin’s highly anticipated novel The Swans of Fifth Avenue!